Good morning everyone!! I'm excited to share with you all today a few polishes from an indie maker so new that her logo was finalized as I was in the process of reviewing her polishes. Baroness X is no stranger to hand mixing her lacquers, though-- she's been doing it for years, for herself and her friends, and only recently decided to go public with her creations. I get to show you five of them today, from two different collections. The first three are from the Holiday collection. 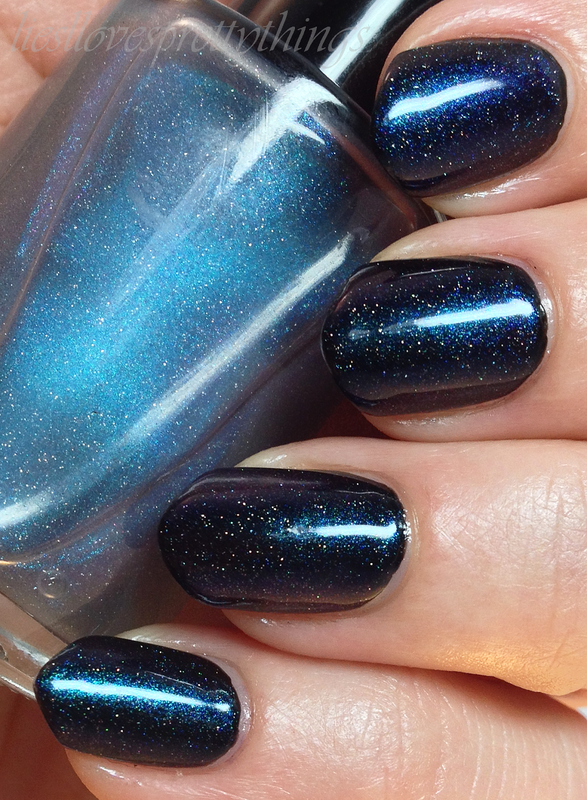 First up is Snowball Fight, a sheer and very pale jelly base filled with iridescent powder and mylar flakies that totally works as a classic French with a slight twist polish but really shines over a dark base. I layered one coat of Snowball Fight over an indigo creme and I love the effect-- the opalescence over the deep purpley blue make it very Revlon Moon Candy-esque. I finished this with one layer of HK Girl Glisten & Glow topcoat. 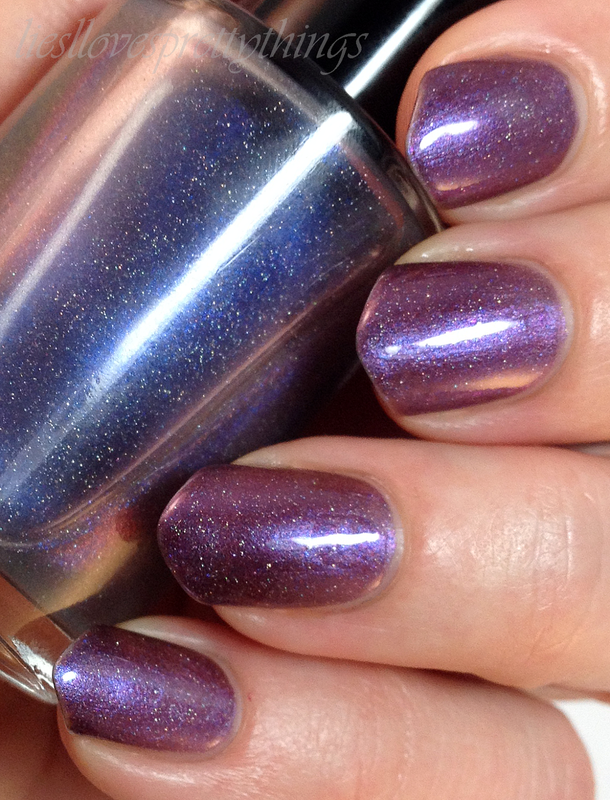 Sugar Plummed is a gorgeous metallic fucshia-purple with holo and glassfleck-y bits and an ever so slight pink shift. There's a lot going on in this one but it's all been mixed with a light hand so the effect is beautiful and fun but still decorous. I used three coats plus one layer of Rica Glossy Glam topcoat. 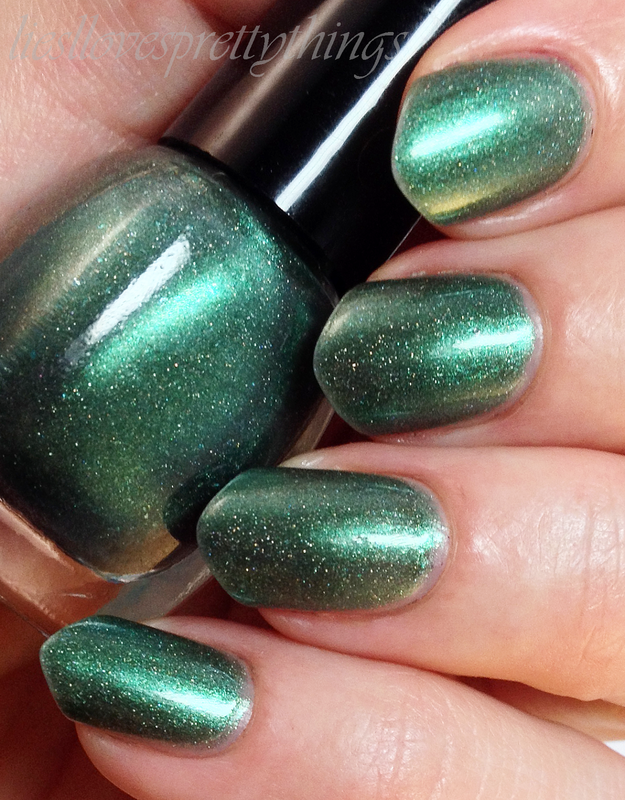 Happy Holodays is Sugar Plummed's twinkly forest green sister. 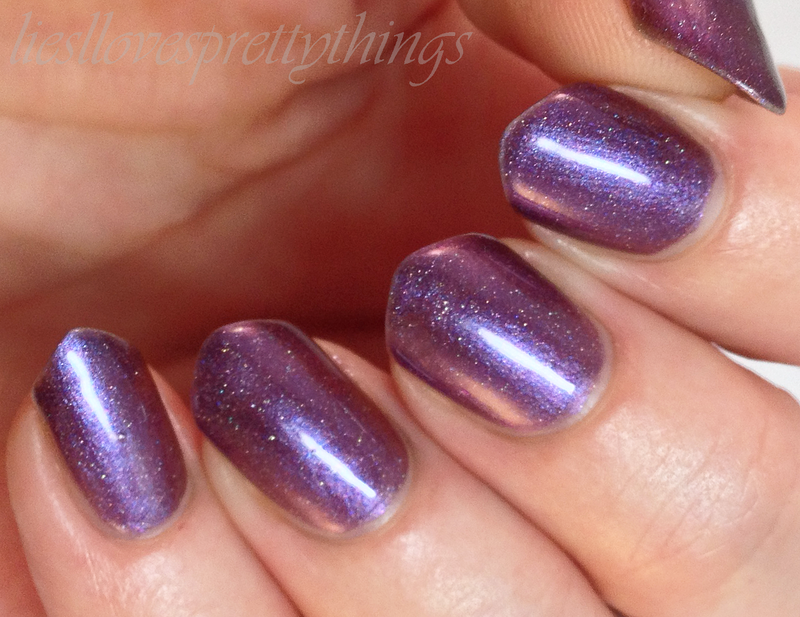 The formula is the same-- a little bit of holo and a little bit of glassfleck in a metallic base. I used three coats plus one layer HK Girl Glisten & Glow topcoat. 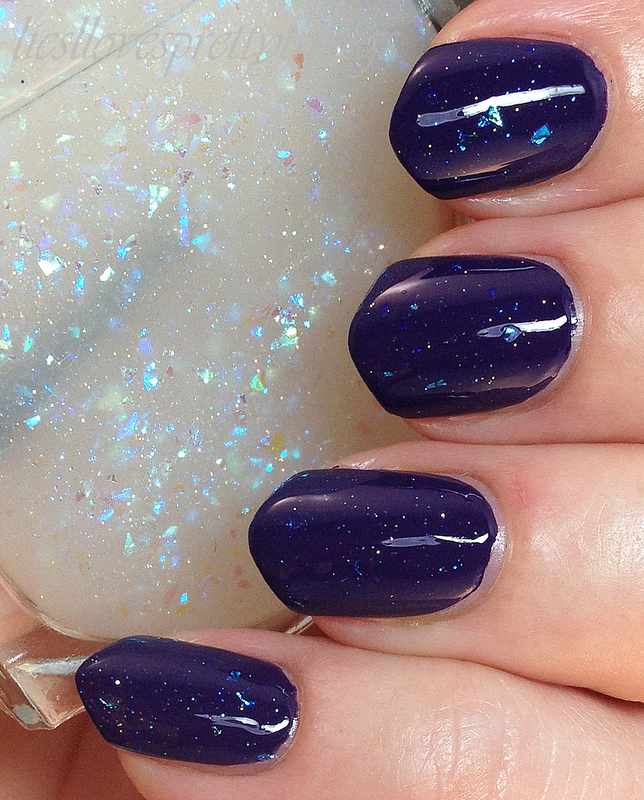 The next two polishes are special effects overcoats from the Chromatic Love collection. I've been loving my toppers for about the past year and anything duochrome is right up my alley, so I pretty much love these. This one is Prismatic, a turquoise to purple to magenta with a slight flash of green shifter with a light handed touch of holo pigment. 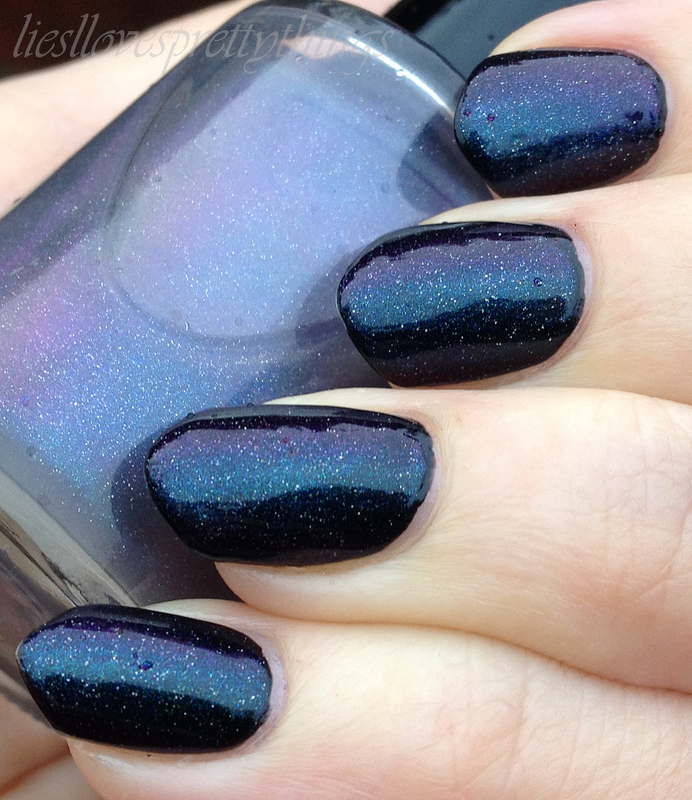 I used one coat over a black creme, finished with one layer of Glisten & Glow topcoat. 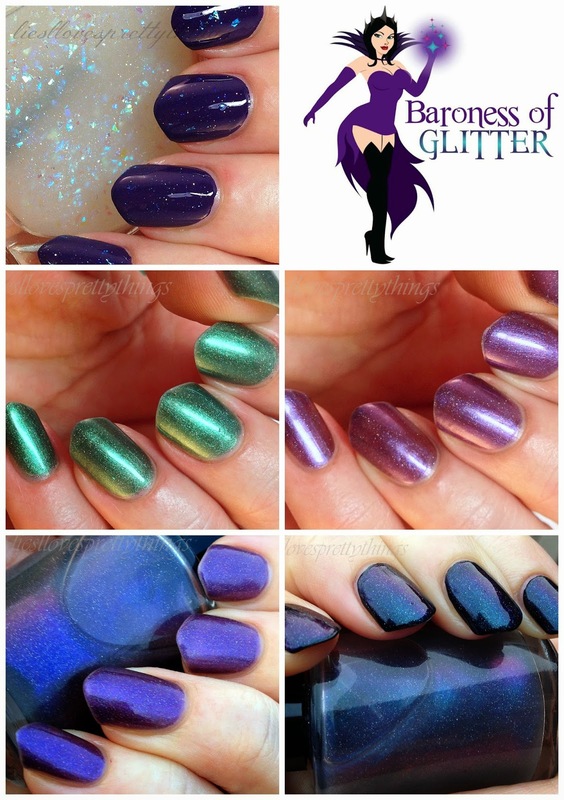 Roy G. Biv is a royal purple to soft red shifter with a slight hint of gold around the edges with the same touch of holo sparkle. 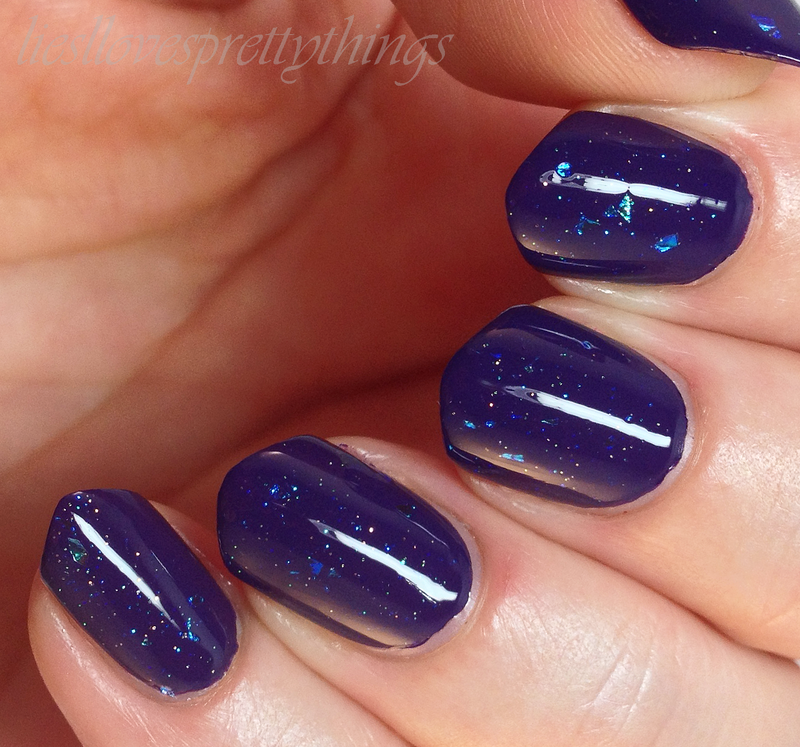 I used one coat of Roy G. Biv over Sugar Plummed and I love how it adds another layer of sparkle and depth to the sugary purple beauty and gives it a bit of a blue shift. SO pretty. I loved wearing this duo. Finished with one layer of Glisten & Glow topcoat. Five different polishes with three different finishes-- the formula on each is easy to work with and easy to apply. It's apparent creator Demi has been at this a while and knows what she's doing. I love the cohesiveness and diversity of the line so far and I'm looking forward to seeing what the future holds for this exciting new indie. Aren't they nice? And I agree, I love a nice, subtle sparkle. Awesome new brand! Thanks for introducing all of us! The color shifters are amazing! I really like the toppers! never heard of this brand, glad she decided to go public! Right?! I'm glad, too! And it's fun watching one grow from the ground up. Lovely post and beautiful new brand! <3 I love Sugar Plummed. A whole bunch. 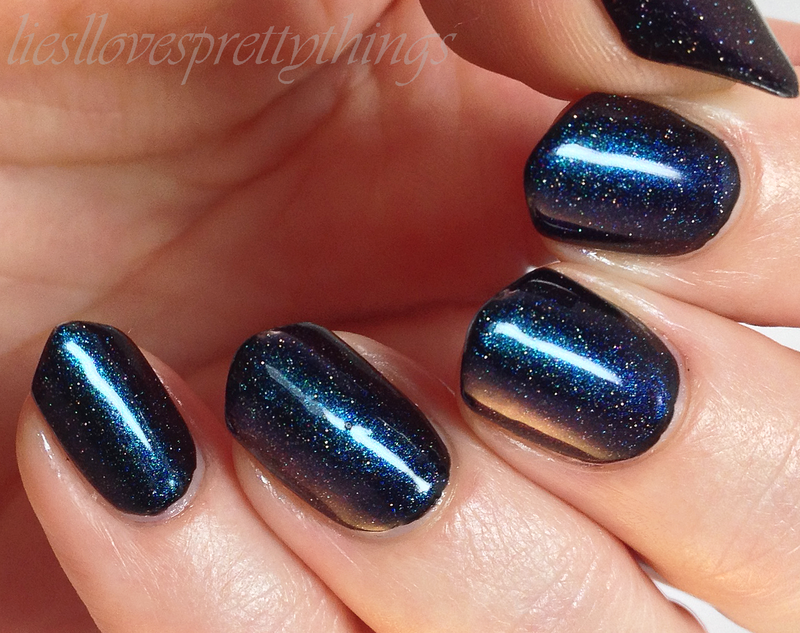 And what Prismatic does to that black is simply amazing. These all look very well thought out. I agree! It used to be that any time an indie did a stand alone, I was sold. It's prolific enough now that it's not an oddity but I still appreciate it, especially right out if the gate like this.